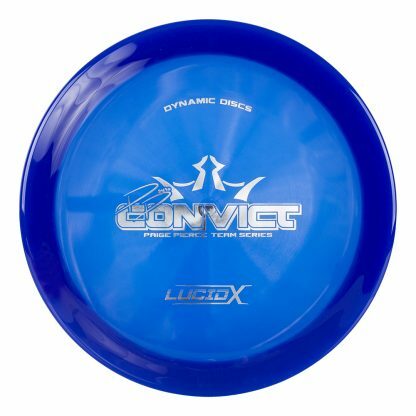 Convict – With the same comfortable grip of the Felon, the Convict boasts a bit more Turn and less Fade. 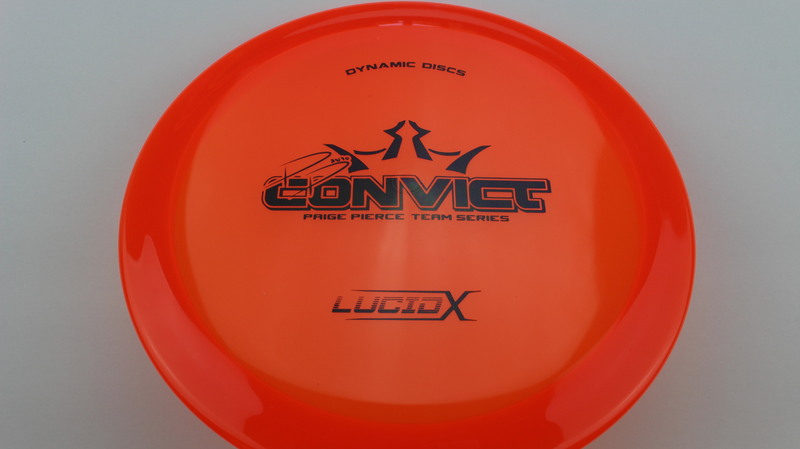 This means the Convict will get just a touch more flip than the Felon but give you the same confidence in hand on the teebox. 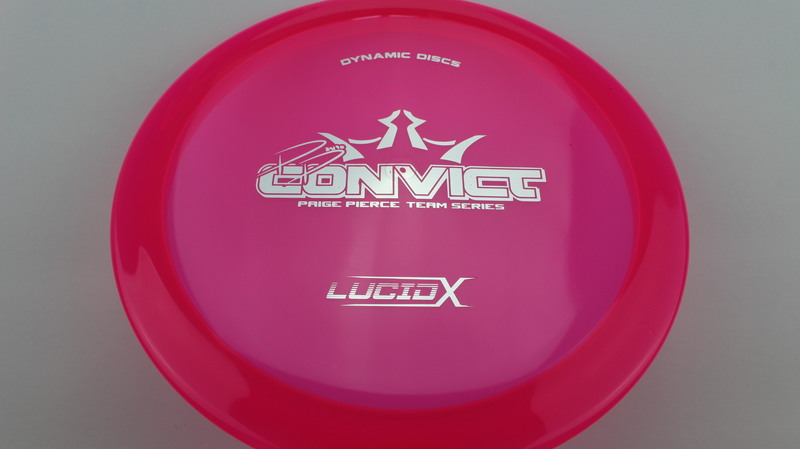 Lucid-X Convict Paige Pierce Team Series – The wonderful Lucid-X plastic gives this special run a slightly stiffer feel. 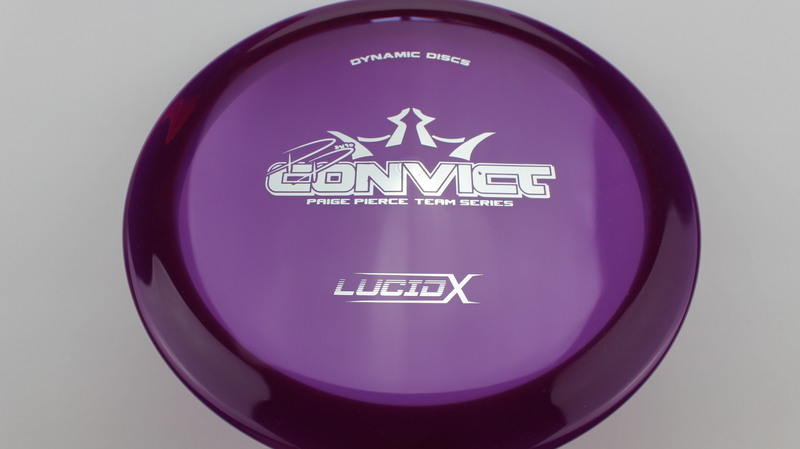 From what we have heard, these are a touch more Overstable than their Lucid counterparts. 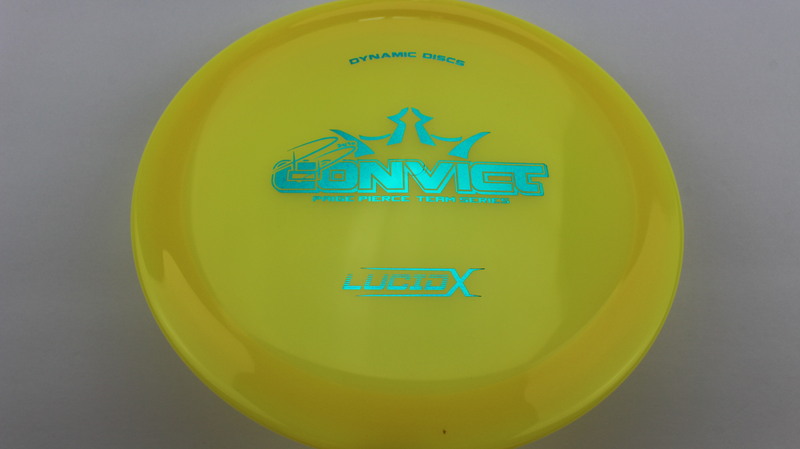 Yellow Lucid-X Teal 174g Pretty Flat Somewhat Stiff $20.18 Just 1 left! 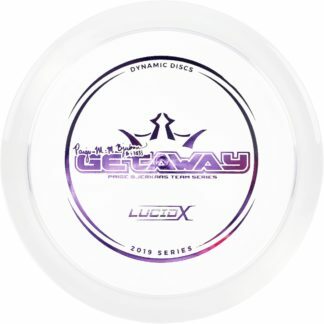 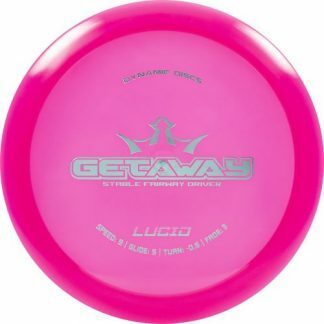 Pink Lucid-X Silver 175g Pretty Flat Somewhat Stiff $20.18 Just 1 left!